Harajuku girls sporting colorful fashion while having fun on the street in Harajuku. 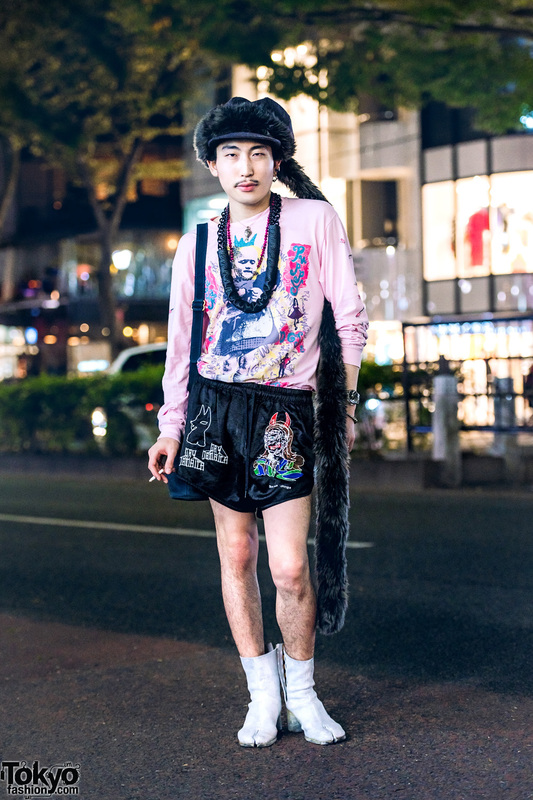 Harajuku Street Fashion w/ BERCERK, London Boots, M.Y.O.B., Gucci, Yosuke & L.H.P. Japanese students showcasing layered street fashion for winter in Harajuku. Harajuku girl dressing up for winter in style with vintage pieces. Harajuku guys in winter streetwear with black coat over button shirt, pants, boots & LV tote bag; remake vest over coat, floral print shirt, red pants and boots. 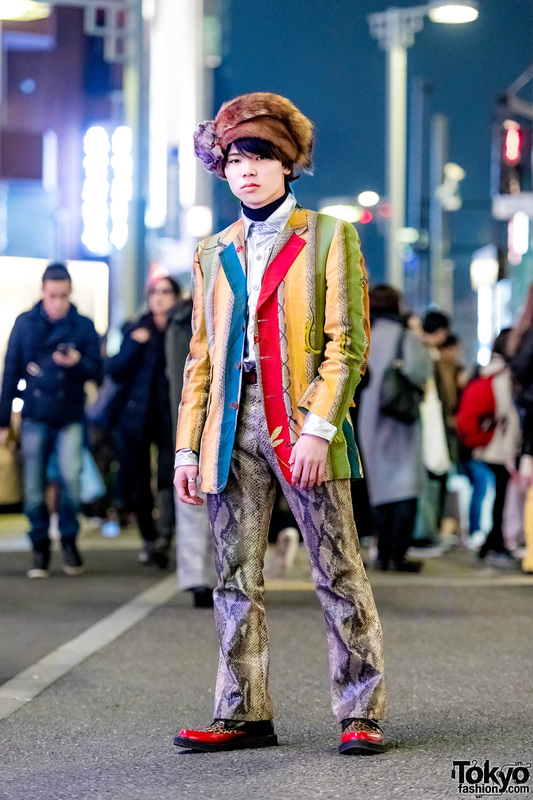 Harajuku guy sporting mixed prints while out and about on the street. 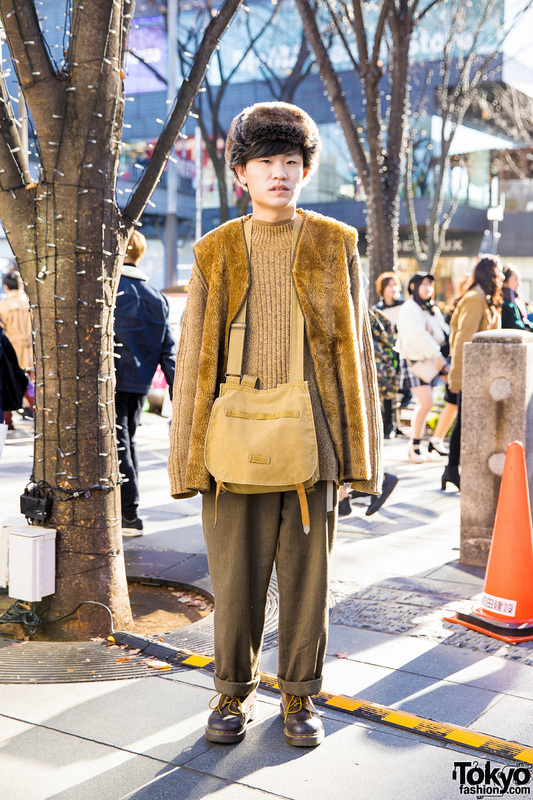 Japanese student wearing a minimalist all-brown ensemble in Harajuku.